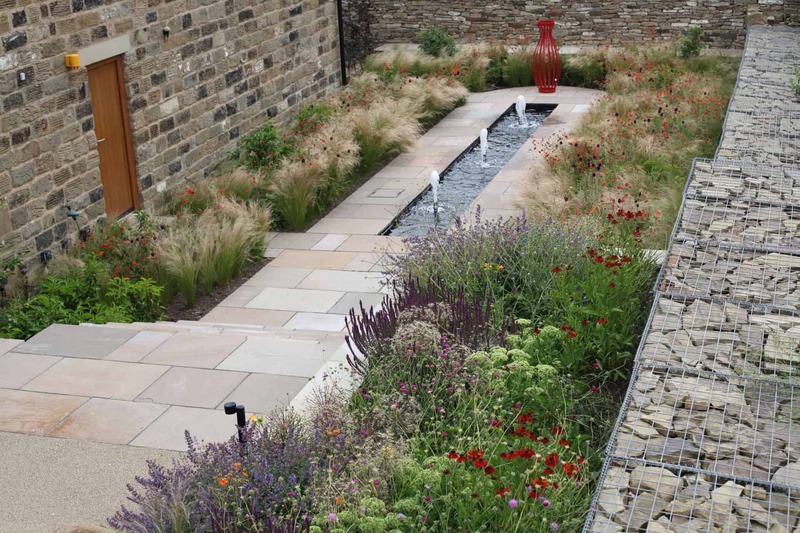 To create a modern country garden was the brief, that was inspired by the ancient principles of Feng Shui, but was not a typical pastiche, contrived in style. 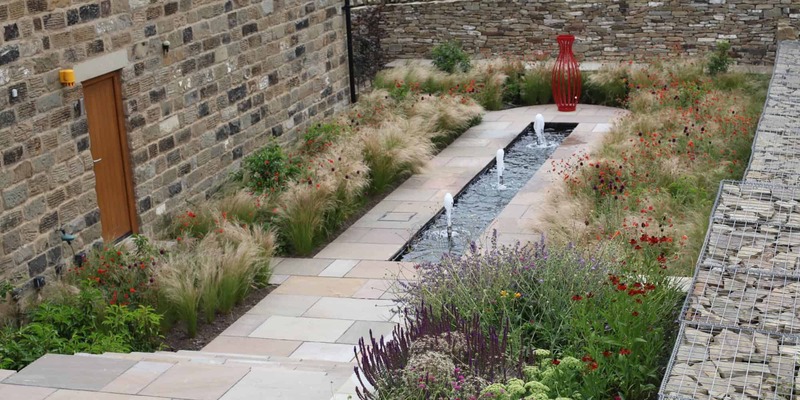 The site just wasn’t suitable for many of the plants associated with this type of traditional scheme, and Acers, Bamboo and Fucshia just wouldn’t look right. 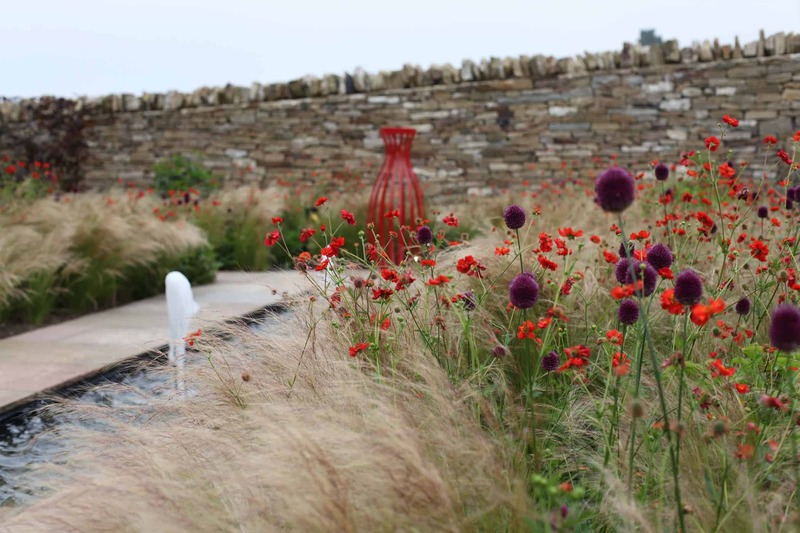 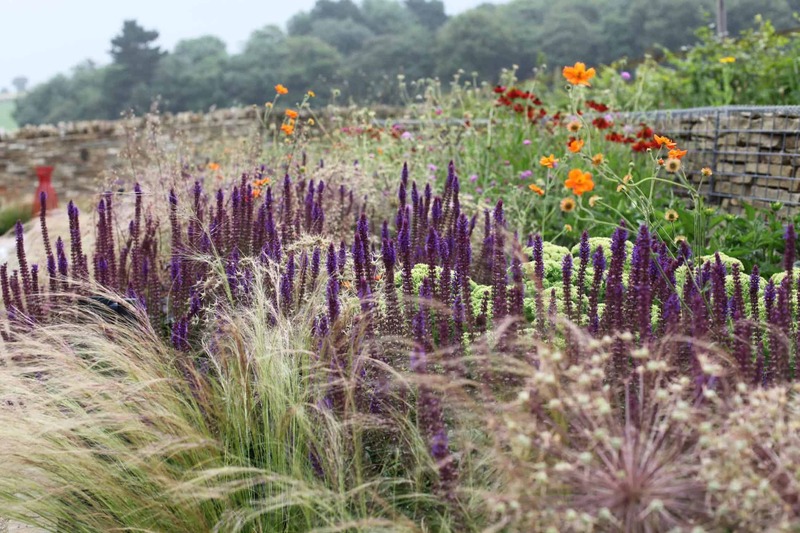 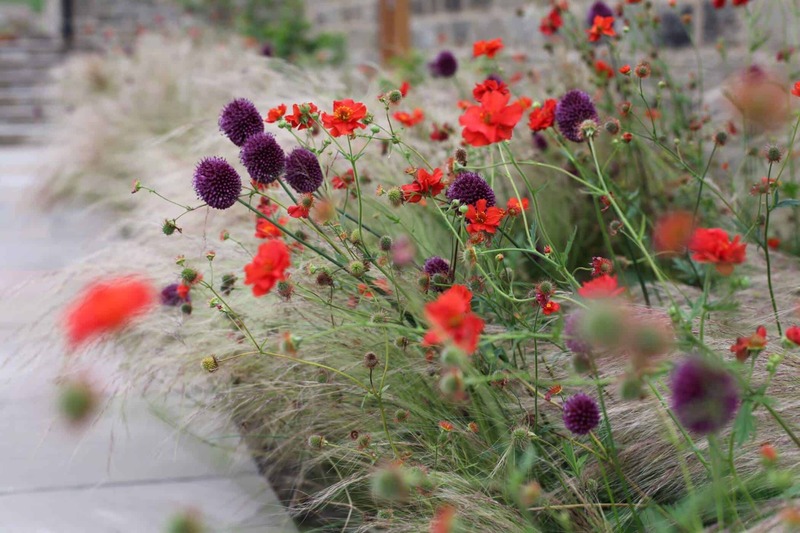 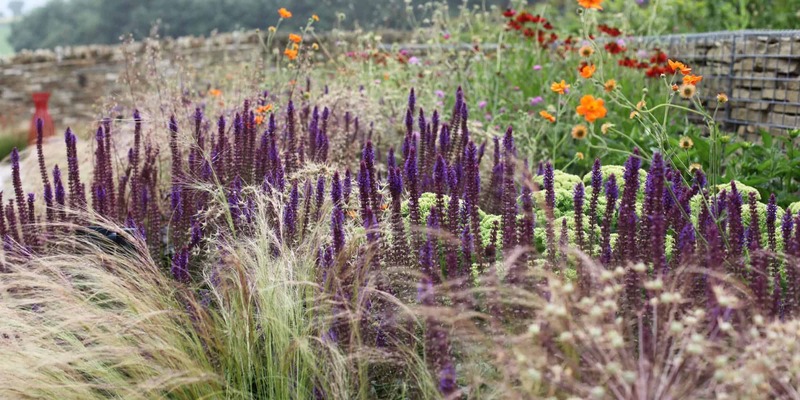 Instead, soft billowing rivers of grasses and flowers, selected to survive the harsh, exposed conditions makes this garden stand out from the crowd. 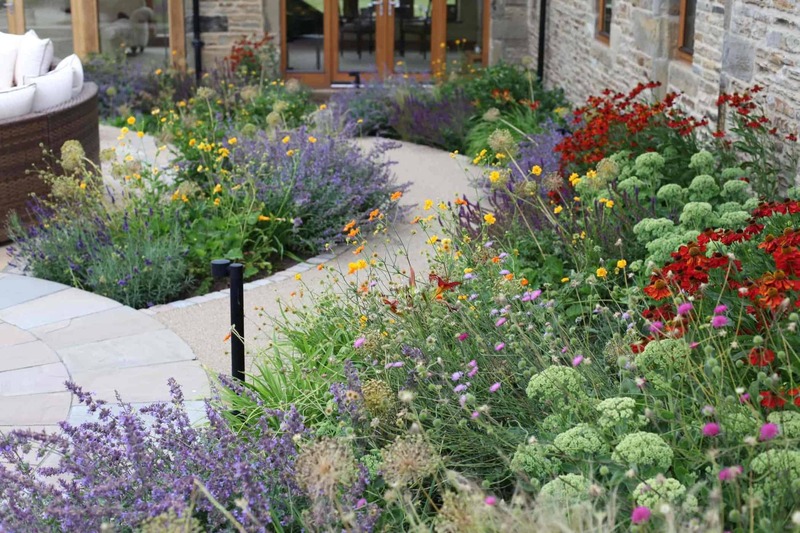 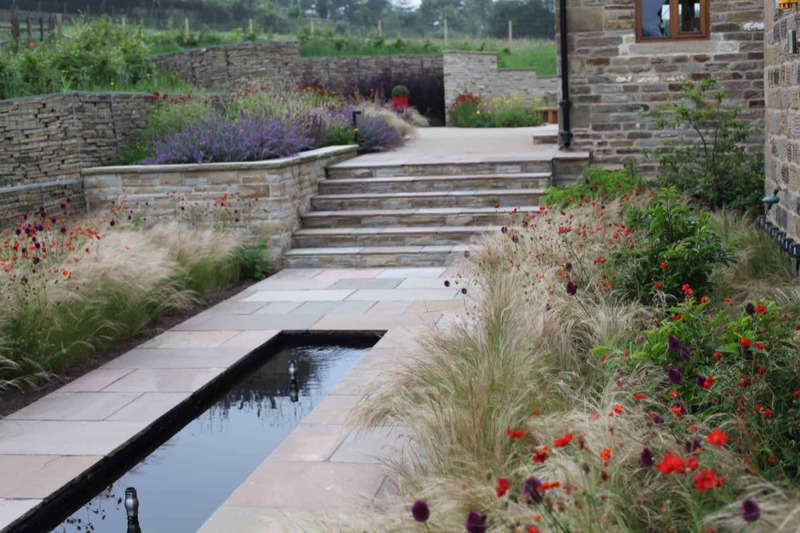 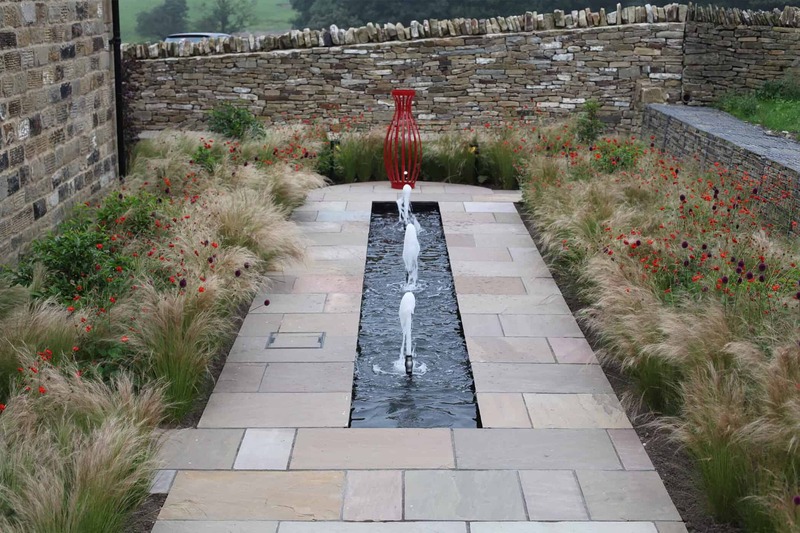 The result is a beautiful coherent garden that surrounds the extended and modernised barn uses gentle curves and soft flowing lines to help slow down the passage of Chi (energy) throughout the garden. 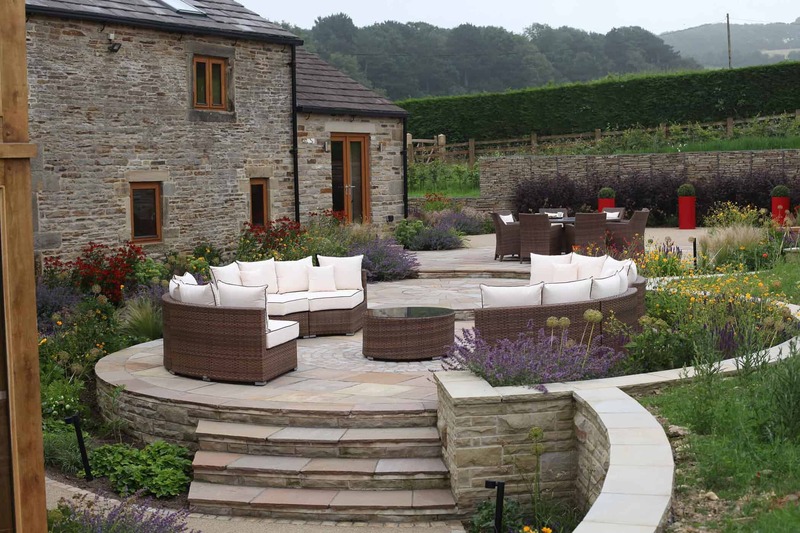 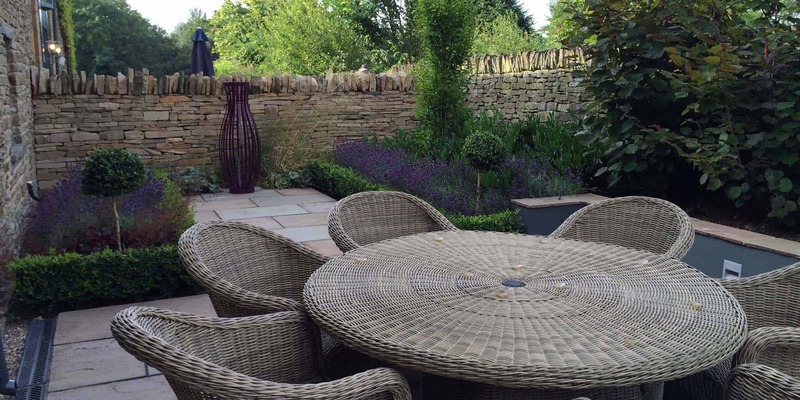 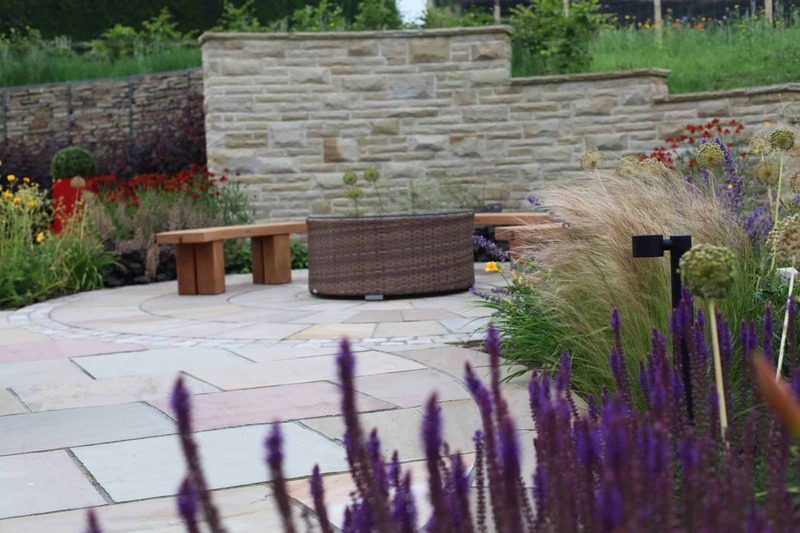 The use of hedging and lots of carefully planned high impact colour, gives this grand scheme a sense of place in the beautiful countryside location. 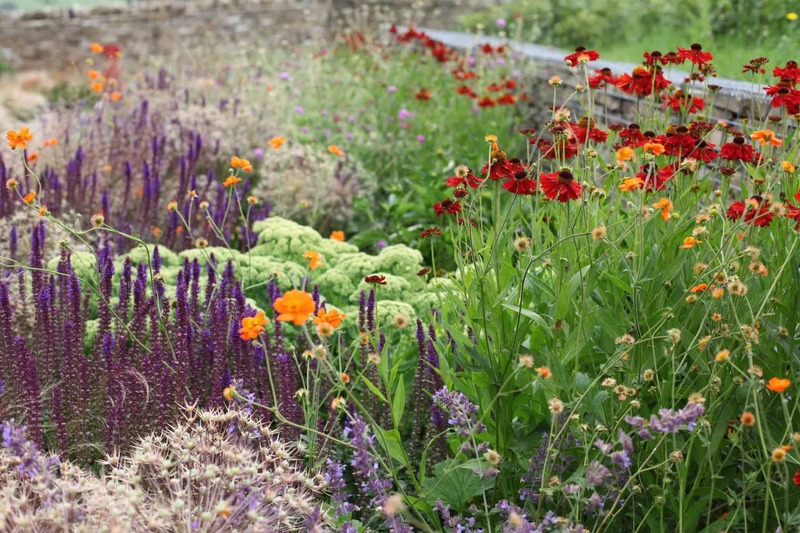 Wild flowers have been recently planted to merge the lush green surrounding fields with the strong curves of the garden, helping the property to settle into the once sterile landscape.